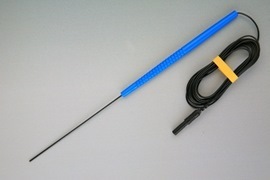 Disposable Bipolar Stimulator Probe. 100mm X 0,75mm, Cable 1,9m twisted, Touchproof connector, (Sterile) Neurosign. Box of 10. 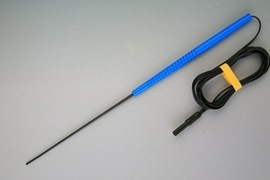 Disposable Monopolar Probe. 100 x 0,75mm, Cable 1,9m, Touchproof, (Sterile) Box of 10, Neurosign. Disposable Bipolar Direct Nerve Stimulator Probe (0,8mm diameter, length 80 --120mm, cable 2m, straight, Sterile, Safety connectors)(Bag of 1 pcs.). FRSH. 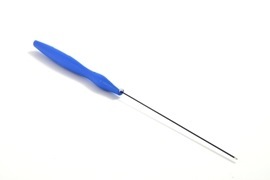 Monopolar Direct Nerve Stimulator Probe 1 pcs. FRSH. 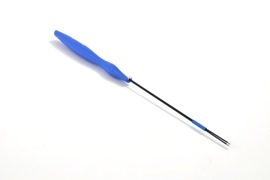 Flush Tip Direct Nerve Stimulator Probe 1 pcs. FRSH.